No need to install special software. No need to buy security certificates. No need to learn about military-grade encryption schemes. Our members save literally thousands of dollars in postage, printing, cards, envelopes, stamps, etc. We have applied for patents on most aspects of the eQSL.cc system. This means that any competitor's exchange will be infringing on our patents, and will likely have to shut down. We use state-of-the-art database technology. This allows us to implement new features quickly and easily. Using the Authenticity Guaranteed program, you can be sure the eQSLs you receive are from a verified, licensed callsign-holder. All you need is a web browser and access to the internet. We designed our site to work with the "lowest common denominator" of web browsers, so 99% of them will work correctly. You can always check to see if the recipients of your QSL cards have picked them up yet. 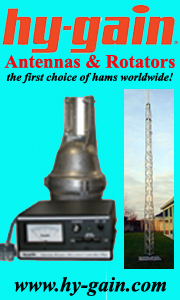 You can also find out which ones of them are registered users and have QSL cards waiting for you. One of the problems with an e-mail based system is that there is no security inherent in that mechanism. Anyone can purport to be P5ABC, and you'll have a difficult time verifying it. Another problem with an e-mail based system is that the person sending the QSL card must have an up-to-date, accurate e-mail address for the recipient. When you have just finished logging 300 contacts during a contest, the last thing you want to try to do is look up 300 e-mail addresses somewhere. In addition, because of the scourge of spam, most people would prefer not to give out their e-mail addresses willy-nilly. At eQSL.cc, we protect your e-mail address and don't ever display it anywhere! eQSL.cc operates on the "Exchange" concept. The Electronic QSL Card Centre is a repository for QSL card information and logs. Senders and recipients of QSL cards can come to the exchange at any time to send and retrieve cards, whether their counterparts are registered users yet or not! Not a QSL service at all, meaning it is only useful for submitting credits for an award. If it works like ours, it is probably violating our patents, meaning it will probably be shut down soon.